Each baby is about the size of a bell pepper. Typical weight gain for Mom at this point is between 1 to 1.5 pounds/week (0.5 to 0.7kg). Total weight gain for the twin pregnancy so far will average between 18 to 27 pounds (8.2 to 12.2kg). 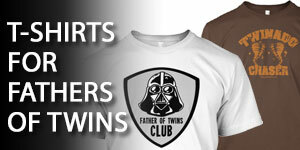 When Mom is 18 weeks pregnant with twins, can work on your twins’ nursery and sleeping arrangements. 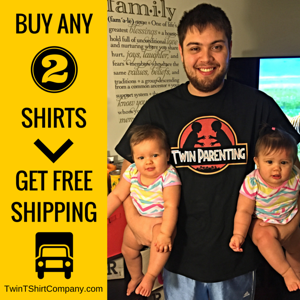 There are several crib options for twins that will meet your individual living situation. 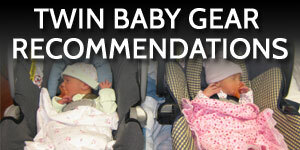 Decide if you want them to share a crib initially or each have their own crib from the start. By the time Mom reaches 18 weeks pregnant with twins, you are likely half way through the pregnancy. While your wife had a rough 1st trimester, things have been pretty easy for you. 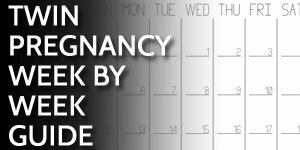 Get mentally ready as you’ll need to step it up in the coming weeks to support your wife and family as she becomes more physically burdened with the twin pregnancy. 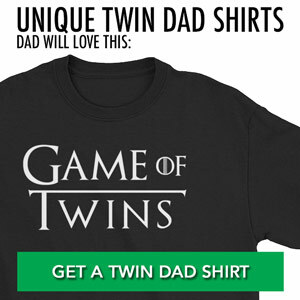 If you haven’t already found out, you should know the gender of your twins by 18 weeks. This knowledge brings a whole new excitement to preparations. 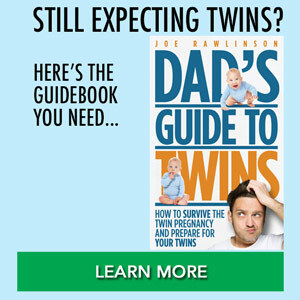 Still wondering how to prepare for your twins? 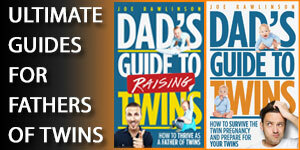 I cover specific things you should know and prepare for in my Dad’s Guide to Twins book. Learn more about the book here.